Different states have adopted different common law rules regarding the issue of a plaintiff whose own negligence is partially responsible for his or her injuries. Maryland follows the contributory negligence rule. Under this rule, even if a defendant’s misconduct is the primary cause of a plaintiff’s injuries, the plaintiff cannot recover if the proximate cause of his damages can be traced to his own negligence, even if only slightly. In a recent case, a Maryland appellate court considered whether to abandon contributory negligence doctrine in favor of comparative negligence. Comparative negligence doctrine is more favorable to plaintiffs because it reduces the amount of the damages by the plaintiff’s degree of fault without barring recovery altogether. 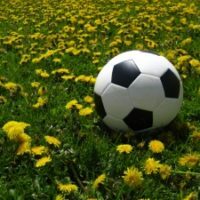 The plaintiff in the case was a twenty-year-old soccer player who was assisting the coaching of a team of young soccer players on a volunteer basis. One day, while helping the coach, he kicked a soccer ball into the goal and jumped up to grab the crossbar as he went to get the ball. The crossbar was not anchored and he fell, bringing the crossbar down onto himself. He experienced facial fractures that required titanium plates to be placed in his face. He filed a lawsuit against the soccer association to which the team he had been coaching belonged. The defendant asserted the defense of contributory negligence. At trial, the soccer coach that he had been helping testified he hadn’t examined the goal. He also testified that the association did not own the goal and it was not his job to anchor it. The association offered other testimony that tended to demonstrate that because it didn’t own the goal, it didn’t owe a duty to the plaintiff to anchor it. The association also claimed the condition of the goal was open and obvious and that the plaintiff’s own negligence caused his injuries. The plaintiff testified that players often hang from soccer goals and his behavior should have been anticipated by the association. He also testified that anchoring goals is a regular safety practice in youth soccer. Before the jury entered deliberations, he asked the judge to give a jury instruction on comparative negligence. The judge instead instructed the jury on contributory negligence. On the verdict sheet, the jury determined that the soccer association was negligent and had caused the plaintiff’s injuries, but also found the plaintiff had been negligent and contributed to his own injuries. The finding of contributory negligence barred the plaintiff from recovering. The plaintiff asked for judgment notwithstanding the verdict, but the trial judge denied his motion. He appealed and the association cross-appealed. The plaintiff’s sole question was whether the court should retain the standard of contributory negligence. The appellate court acknowledged it had the authority to change the common law rule, but it declined to do so. It explained that there are a few exceptions to the contributory negligence doctrine and that the Legislature could certainly adopt comparative negligence for policy reasons, but had chosen not to do so. The court highlighted the legislative history of trying to pass a law changing the doctrine and failing to do so. The failure to change the law at the legislative level was persuasive evidence of legislative intent. Accordingly, the appellate court affirmed the lower court’s judgment. If you have been hurt because of somebody else’s negligence, you should consult with an experienced Maryland personal injury attorney as soon as possible. Contact the attorneys of Steinhardt, Siskind and Lieberman at (866) 902-4111 or via our online form.